Egg-based typhus research. 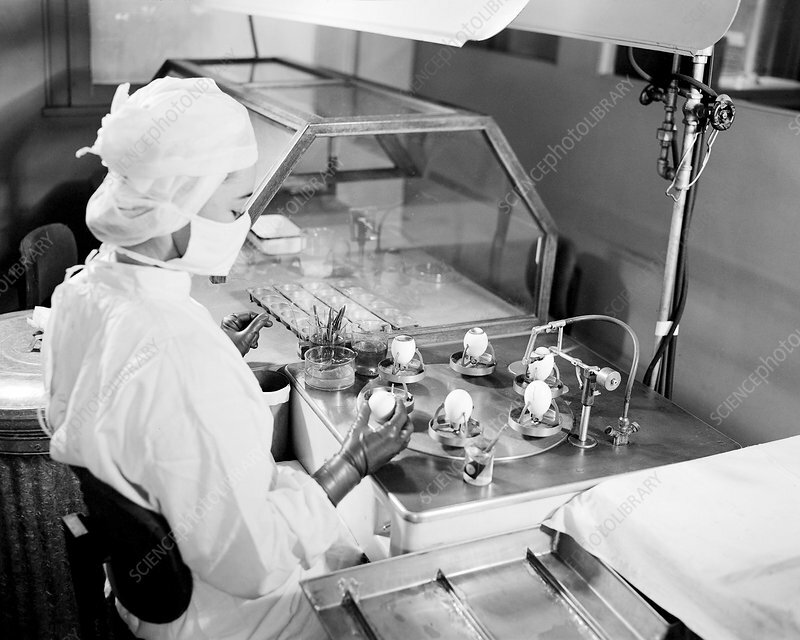 Researcher in the 1940s harvesting tissue from chicken eggs as part of research into the pathogens causing typhus. Typhus refers to a number of diseases caused by Rickettsia bacteria, typically transmitted by lice, fleas and ticks. Chicken eggs are used in such research to incubate and culture both the pathogens and the vaccines developed against the diseases. Photographed in April 1947 at the Rocky Mountain Laboratory, Hamilton, Montana, USA.